Keep fit, feel better and make new friends at Blooming Babies Aquanatal – a dedicated aqua-fitness class that’s designed especially for pregnant women. Safe, fun and relaxing, it will help to prepare your body for childbirth, whilst boosting your wellbeing and alleviating stress. 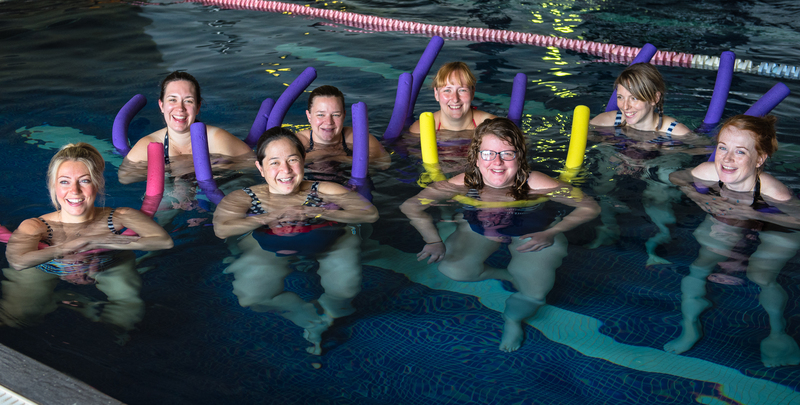 Suitable for non-swimmers, it utilises exercises in water to take the pressure off your limbs, providing welcome relief from the weight of pregnancy! All Blooming Babies Aquanatal classes are run by Annie, a practising midwife, qualified nurse and fully trained level 2 Aquanatal instructor.